Is it possible to leverage 17,000 votes into a national political movement? Alexandria Ocasio-Cortez is trying. 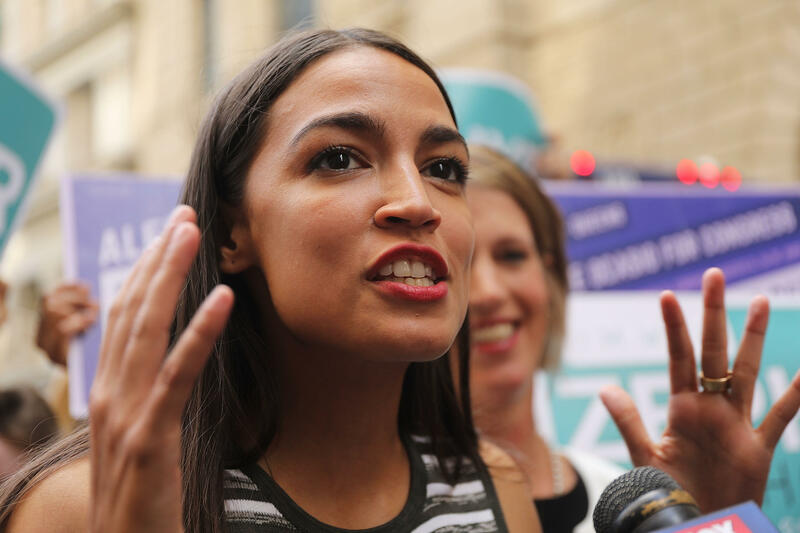 The 28-year-old liberal activist, who was nearly unknown outside of Queens and the Bronx until a surprise June victory over a 10-term incumbent in New York's Democratic congressional primary, has been crisscrossing the country in recent weeks to stump for fellow progressives. She's been raising campaign cash in sold-out theaters, rubbing shoulders with leaders in the party's liberal wing and building an audience of 788,000 Twitter followers. "When I won, they said, 'Stay home.' They said, 'Keep it in the Bronx,'" she told a crowd at a progressive Democratic conference in New Orleans Saturday, "But we know better than that." Tuesday's congressional primaries, though, showed that it may be hard for Ocasio-Cortez to help other left-leaning candidates replicate her upset over U.S. Rep. Joseph Crowley, a fellow Democrat. They included Cori Bush, an activist and pastor who had been hoping to unseat nine-term U.S. Rep. William Lacy Clay, of St. Louis, and Dr. Abdul El-Sayed, Detroit's former health director, who lost in Michigan's gubernatorial primary to Gretchen Whitmer. "It changed our race," she said. But it didn't translate into victory. Three progressive candidates who had gotten Ocasio-Cortez's support did win Tuesday, including former Michigan state representative Rashida Tlaib, who won a six-candidate primary and will run unopposed in the general election. "What we need to realize is our struggles are linked," she told supporters. "They don't want us to realize how powerful we really are." Most of the candidates she has traveled to support are backed by a political action committee called Justice Democrats, which was started by organizers of Bernie Sanders' 2016 presidential campaign. Five of the 12 candidates backed by the Justice Democrats won their primaries on Tuesday. Fewer than 30,000 people voted in the primary, which received little mainstream media attention. Many voters who backed her said they did so partly because they respected her hustle. She campaigned relentlessly in the district, while Crowley spent more time in Washington. His absence opened him to Ocasio-Cortez's attacks calling him an absentee leader. "I spent the last nine days, I know it seems like an eternity, but just nine days I was out traveling the country," Ocasio told supporters at an event in New York this week. Her campaign spokesman, Corbin Trent, said her interstate travels to bolster other liberals are "for the distinct purpose of benefitting people in her district."